It’s even prettier than the sedan. I mean, look at that side profile ! And the interior is still awesome. It comes with Peugeot’s i-Cockpit with the gorgeous screen in place of the gauges. I had a rental 3008 with it recently, and it is a joy to use. I find it much better done than Audi’s (especially the navigation part). Peugeot uses monochrome graphics : the map uses a mix of dark hues, all of which look great and are not distracting. On top of that it looks very well integrated. Also copper-colored gauges and the RPM gauge is inversed (à la Aston Martin). 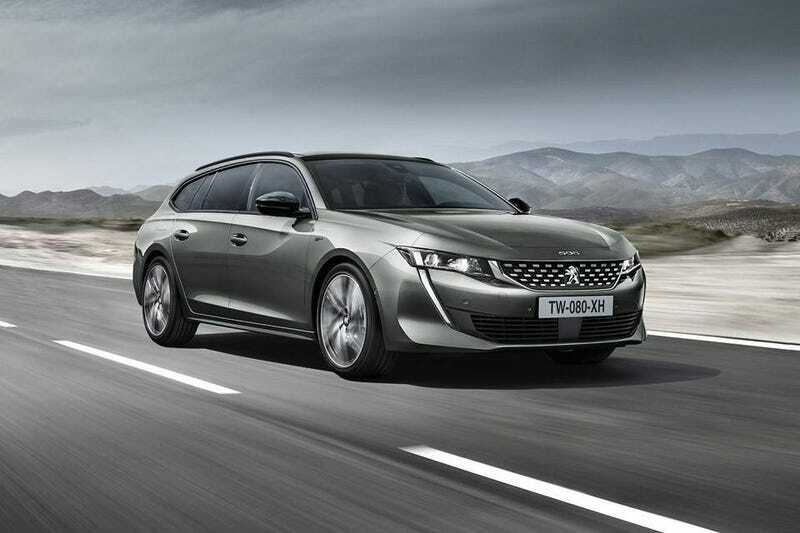 It will be offered with Peugeot’s 6-speed manual or the new 8-speed auto. With a variety of diesel engines (starting with the new 1.5L HDI unit) from 130hp to 180hp and with two flavours of petrol engines delivering either 180hp or 225hp.